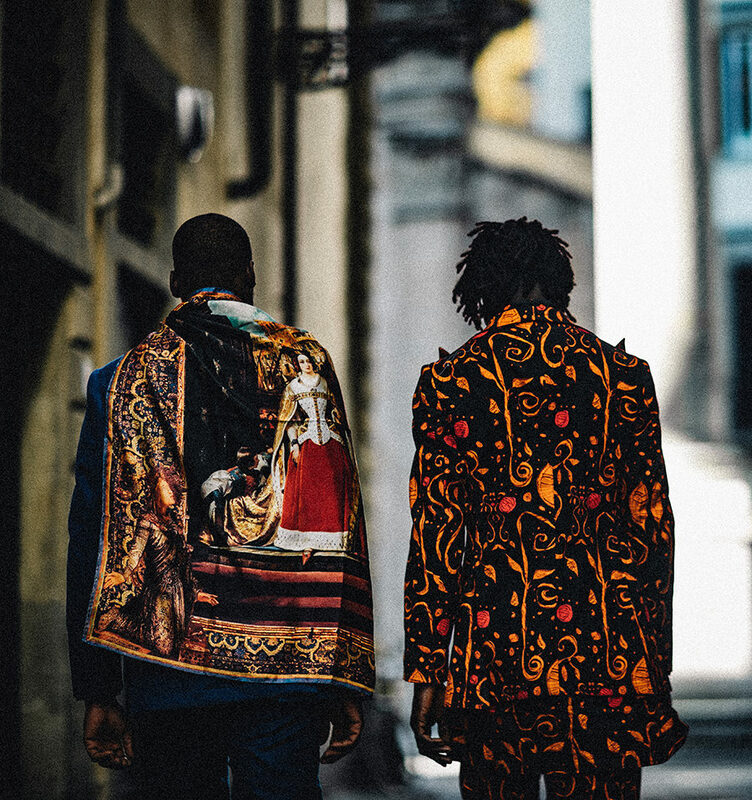 Wale Oyejide is a Nigerian designer and the creative director of Ikiré Jones, a menswear brand that fuses African aesthetics with classical art from across the globe. 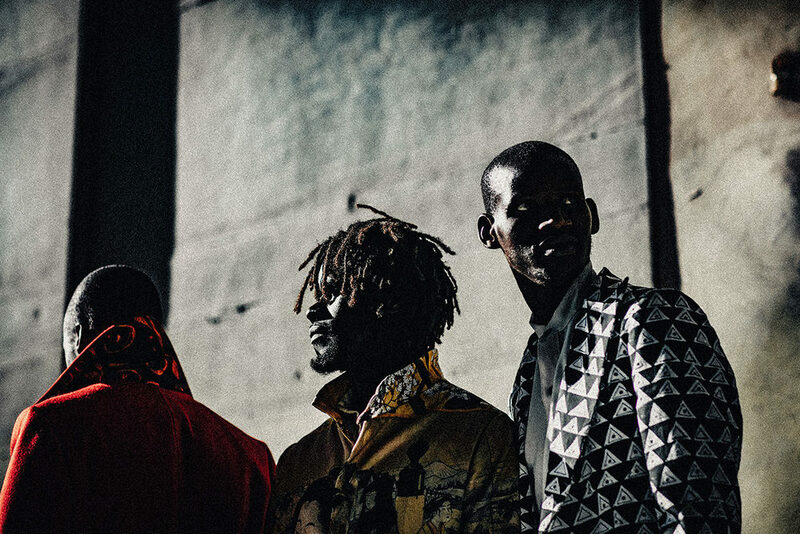 Afropop's Atane Ofiaja spoke with him about his brand, his current fashion collection, and his future plans. Atane: We know each other already, but for Afropop readers not aware of who you are, tell them a bit about yourself and your background. 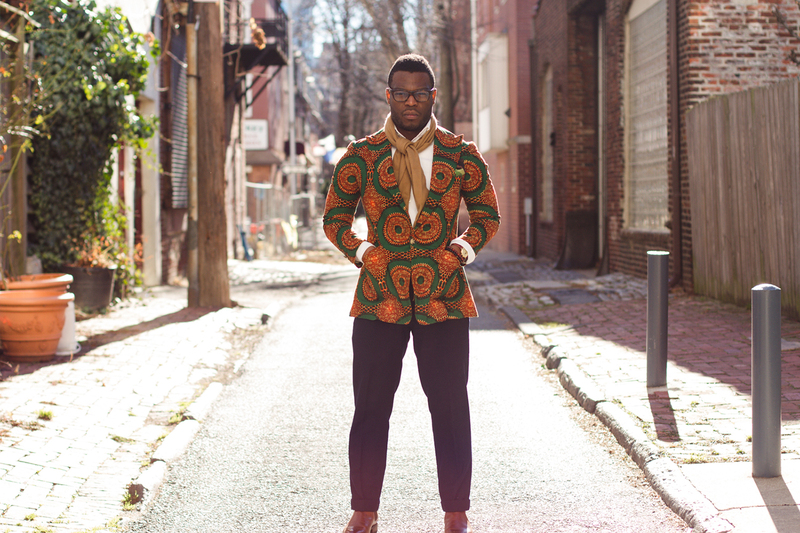 Wale Oyejide: I’m the creative director of Ikiré Jones, a menswear brand that intertwines classical art from all over the globe with West African aesthetics. I grew up in Nigeria before settling in the United States, so much of my work is influenced by my multinational upbringing. I’m also a writer, a musician and attorney, among other things. Most of my creative work over the years has involved storytelling in some shape or form. Whether through music or design, I’ve always made an effort to capture authentic aspects of the human experience. How did the switch to men’s fashion designer from being an Afrobeat musician for a few years, in addition to being a practicing attorney, come about? I stepped away from music a few years ago in search of inspiration and a stable job. At the time, law school, and the practice of law, seemed like a sure-fire way to finding comfort and happiness. I would later realize that only one of those things was guaranteed. I fell into the design industry because I had an irrepressible need to be creative and a love for clothing. It was a natural and organic process. I never got a formal education in fashion, but I had a very strong sense of the sort of aesthetic I wanted to put out into the world. Storytelling is woven into your brand with each season and collection. The stories focus on African identity and narratives. Previous collections like “Saints and Savages” and “The Untold Renaissance” generated a lot of buzz not just for the fashion, but for the themes behind the collection. Did you always intend on using storytelling and African narratives in conjunction with each collection? I've always been of the mindset that nothing is worth doing unless it means something, or unless it attempts to make some sort of impact on society. Most people regard the fashion industry as a vapid business that does little to better the world around it. For the most part, I don’t think this is an inaccurate point of view. From the beginning it was important to me to show that even though my work doesn’t cure cancer or save lives, there are still important things that can be done in shaping the global perceptions of Africans and people of African descent. Rather than painting images of what Africans should or should not be in Western society, I aim to offer nuanced and non-judgmental images of African people from different walks of life. Is the storytelling subversive by default? That’s a fascinating question. On a certain level, the messages may be seen as subversive because most people looking at clothing and fashion are not accustomed to being force-fed stories about domestic terrorism, oil pollution or migration. It isn’t difficult to preach to the converted, but I’ve always enjoyed the idea of drawing people in with attractive clothing while educating them about a different part of the world. Admittedly, my work involves a bit of a sleight of hand. You come for the clothing, and you leave with a window into the lives of someone else that you may not have otherwise considered. The current collection is titled “After Migration.” Care to expand on that? While watching the migrant crises that has been affecting Europe over the past few years, I decided to take a stab at tastefully addressing the migrant crisis from an African perspective. Meeting sub-Saharan Africans that have immigrated to Europe is not by any means a new phenomenon. But less is known about those of us who flee not just to start over, but to seek asylum. I wanted to tell the stories of these asylum seekers through photography. For me, it was very important to portray them as elegant individuals, not as scourge upon society that many headlines describe them as. We worked with three young men that had left countries in West Africa and were hoping to make new lives for themselves in Italy. Spending time with them was very much a privilege and education for me. When confronted with people who have less, it really makes one put his own life in perspective. Any of us could be asylum seekers after a bad election and after a series of political dominoes tip over in the wrong direction. Who are we to judge? Tell us about the clothes in the “After Migration” collection. 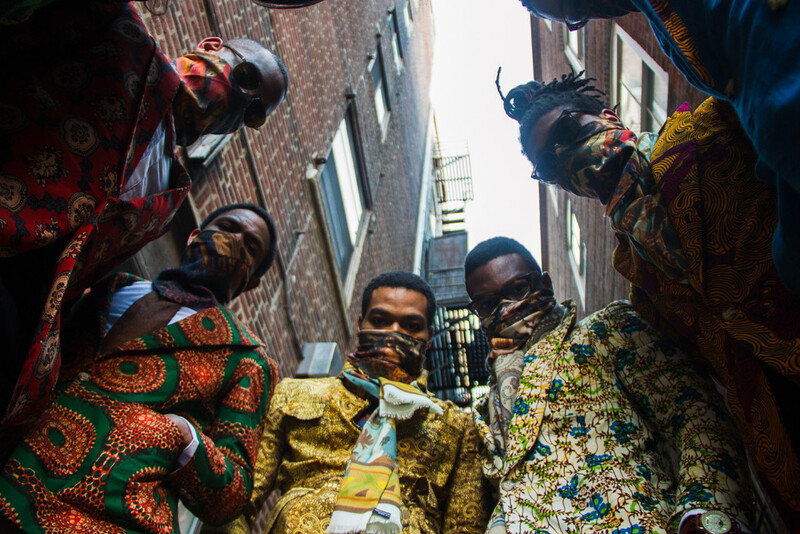 Continuing in the spirit of Ikiré Jones’s past collections, “After Migration” collection features clothing made up with printed tapestries from different parts of the world. As always I make an effort to capture the essence of the global citizen with my clothing. Few of us can claim to be wholly influenced by any one place. For better or worse, we have all been tainted and taught by all of the cultures we have been exposed to. My work seeks to embrace those influences by openly paying homage to them. 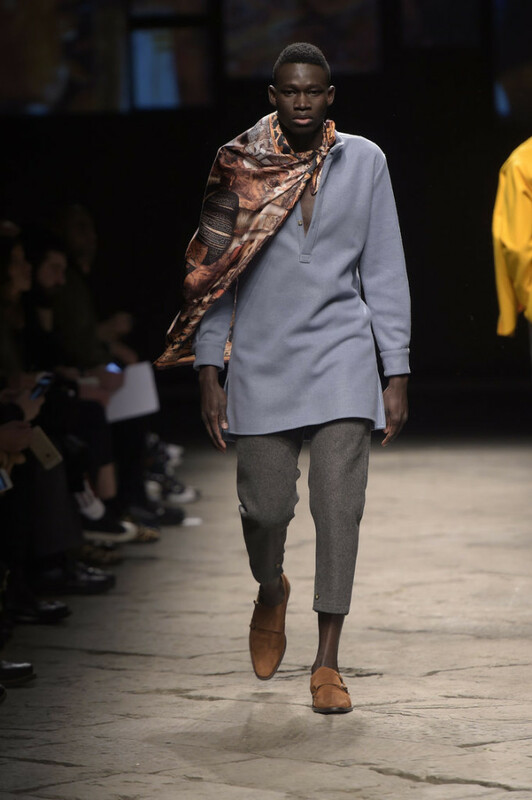 You participated in the Ethical Fashion Initiative’s “Generation Africa” show at Pitti Uomo in Florence--how did that come about? The Ethical Fashion Initiative seeks to introduce African artisans to larger companies in the West. It also aims to promote designers of African descent. I was very fortunate to be contacted by them after they saw my work, and I was invited to present a fashion show in Florence. It was a pretty fantastic experience, particularly for a young designer like myself. What’s next for Ikiré Jones? Work has begun on our next collection, tentatively titled “Born Between Borders.” As always, I’m hoping to tap into the stories of real people who are fighting to better themselves and provide for their families while holding on to their culture. There are stories all around us, and each of us has his own way to tell them. I just happen to do it with tailoring. Thank you for your time, Wale.